David Robertson writes well, and isn't scared to burst a few bubbles along the way. He is the minister of St Peters Free Church in Dundee. He is also the director of the Solas Centre for Public Christianity, and blogs under the title The Wee Flea. Here is his alternative take on the opening ceremony of the Commonwealth Games held in Glasgow last week - click here. 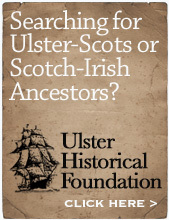 I did a radio interview recently about this, for a BBC Radio Ulster series called The Long and the Short of It, which is presented by Tim McGarry and Dr David Hume. It will be broadcast tomorrow at 4pm. I opted to skirt around the edges a bit and restrict my comments to the relative safety and tranquility of the events in North Down, as the detail needs to be dealt with by serious historians. However a few of these seek to downplay the event and even mitigate - bluntly, to imply that the Protestants had it coming and shouldn't have been there in the first place. If you want to read the full gruesome details there is no better source in my view than the account by Rev James Seaton Reid (1798-1851) in Chapters 7 and 8 of his seminal History of the Presbyterian Church in Ireland which was first published in 1834. Click here to read it free online. From 23 October 1641 when the massacres began, firstly targetting English settlers but soon Scots as well, estimates as to the death toll vary widely. Reid analyses all of these estimates in his footnotes beginning on page 336. It is clear that he also did his own primary research to verify the claims. Boastful perpetrators claimed 154,000 Protestants killed, a Protestant writer claimed 200,000 in the first month alone. Reid concludes that those who estimated 37,000 - 40,000 deaths are more reliable sources, and that the 'lowest probable computation' would be 12,000 deaths, 'an awful sacrifice of human life'. The statistics tell a very clear story - the victims were tenant farmer families, civilians, not trained or armed soldiers. It is hardly a surprise that the Scottish Parliament despatched an army in spring 1642. It is a largely untold and unknown story. A very senior civil servant from Dublin collared me back in 2006 at a corporate event, objecting to my having referred to the 1641 massacres in an article I had written. It is part of our history and it should be known. Today's threatened slaughter of all of the remaining Christians in Mosul, Iraq, makes this story particularly timely. I am resolved to leave nothing unattempted on my part, which may contribute to the peace and prosperity of this nation... it's sufficient to know how earnestly I have endeavoured to extinguish, or at least compose all differences amongst my subjects, and to that end, how often I have recommended an Act of Indemnity to the last Parliament... I intend to send you an Act of Grace, with exceptions of some few persons only but as such as may be sufficient to shew my great dislike of their crimes, and at the same time my readiness to extend protection to all my other subjects, who will thereby see, that they can recommend themselves to me by no other methods than what the Laws prescribe, which shall always be the only Rules of my Government..." In the same speech William said "I must recommend also to your consideration an Union with Scotland ..."
It was of course politically astute to stabilise England before setting off for Ireland. But it was also a shocking act of generosity. William's Act of Grace excluded some 30 English nobles (some are listed on page 30 here) to make public examples of them, but they were never prosecuted apart from a few who were later involved in plots against William. It was written 'no process has been issued against any of them; not a penny of their estates, nor one hair of their heads hath been touched, and several of them have even sat in the House of Lords as our legislators'. The Act was viewed even by William's supporters as an 'extraordinary and indeed too indiscriminate lenity'. Lord Delamere described it as 'a general bill of grace and free pardon and without regard to exemplary justice for those treasons and murders and other high crimes committed before his coming hither". The Earl of Shrewsbury was so outraged by the leniency of the Act that he resigned as a Secretary of State in protest. Two weeks later William set sail, on 4th June 1690, for Ireland. The theologians among you will see parallels here. The only solution to broken Law is an Act of Grace from the King himself. Religions still insist that God's favour can be earned by human merit - by observing rituals and sacraments and traditions and financial donations. The message of the Gospel, recovered at the Reformation when people read the Bible for themselves, is that we are all lawbreakers. An Act of Grace from the Lawmaker Himself is what was required, a personal intervention - which was given at Calvary in the person of Jesus Christ. Faith Alone by Grace Alone in Christ Alone. 'In so many areas of modern life, the managerial culture hates expertise. People who know something, who are really interested in something, make managers feel inadequate and pointless'. (Photo above taken at Saintfield last evening.) I'm reposting this from back in mid-April as the radio programme, entitled Walking Round in Circles is being broadcast on Monday at 8pm on Radio 4. Parading - in Belfast anyway - is once again a big issue. A few weeks ago I was asked to be interviewed by the novelist and poet Nick Laird for a BBC Radio 4 programme about Orange parades, to be broadcast in June some time. It wasn’t a wide-ranging interview , but very specific to my own personal experiences and also of the differences between rural and urban (for regular readers here, this is one of my ongoing themes). It turns out that one my wife’s close friends is Nick’s cousin, and the programme’s producer was someone I have known from when we were at school together. We got on well, apart from my dire attempt to make them both coffee. I have no idea how the programme will be edited, or how much (if any) will be used. I hope it comes across as reasonable and non-contentious. I’m not a ‘spokesperson’ for anybody and so I felt able to answer the questions as honestly and openly as I could. I thought it might be of interest to some readers for me to summarise some of the thoughts and discussion here. Almost ten years ago in June 2004 my parents and my oldest son were almost killed in a car crash just outside my front door, they had been leaving 5 year old Jacob back home after a children’s meeting at Carrowdore Mission Hall. Some of you will know of the dire state my mother was left in following the accident, and of her current dreadful health condition. I made a number of major ‘life decisions’ in the following months. One of these was to accept the repeated invitations I had received from a friend to join an Orange lodge, one with a more Christian and educational ethos than most do. Another decision was to accept the invitation to become Chair of the Ulster-Scots Agency (the previous Chair, Lord Laird, had resigned in April of that year). Another was to plan a path towards self-employment which would allow me more time at home with my family rather than continue to waste the 3 – 4 irreplaceable hours I was spending every day commuting to a Belfast office. There were other decisions too. Due to busyness and other commitments I'm not able to get to many lodge meetings during the year, but I do enjoy the open meetings where a guest speaker will come; for example, in 2013 there was a talk on the 400th anniversary of the King James Bible; earlier this year a panel discussion; on previous years talks have been on aspects of Ulster history, of Reformation history, of the Williamite Revolution of 1688-1690 and of Great War poetry. The chat after the meetings is always good, a bit of friendly intra-Protestant theological banter, a fine cup of tea and few slices of fruit loaf. I have met at least one man who has, as they say these days, 'come to faith', and who tells me each time we meet that listening to the old Gospel music my brother and I play was a key moment in that awakening. It's not everybody's idea of a good time, and might in some cases be akin to a church committee meeting. But other lodges are not like ours I suspect. Where I grew up, the thing which is labelled nowadays as ‘community relations’ has always been overwhelmingly positive, in common with many rural parts of the province, but in contrast to some parts too. We had no tradition of Orange membership in our family even in previous generations, but the 12th was one of the big days out every year and we always went to watch the bands and lodges – as enthusiastic spectators, not participants – but we knew many of the participants as friends and neighbours. Huge family picnics made the night before, ice cream in the field, the whole shebang. ‘Community relations’ in normal language just means that we got on well with the people who the textbooks and newsrooms imply are meant to be our historical opponents. Our Catholic neighbours were folk like the men my father worked with on the farm and on building jobs, the elderly woman who had been my piano teacher for umpteen years, and so on. But neighbours first, and that they were in some way ‘different’ was way down our priority list. These are folk we would see in the builders yard, or at the cattle market, or at the post office, or the local shop, or wave at in the car as we passed each other on the road. Not next-door neighbours, but from just a few miles away, all well-known to one other. 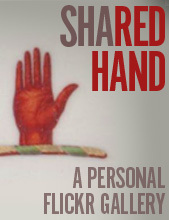 All of us were from families whose roots are intertwined in this locality down through the generations. My father’s approach to flags was often to put one up when the holiday started, on the morning of the 11th July, and take it down when the holiday ended on the evening of the 13th, so as not to potentially offend men who might be working around our yard (farm holidays are much shorter than the traditional ‘Twelfth Fortnight’ elsewhere in Northern Ireland). I can also remember him consciously deciding to not fly a Union Flag on some years, but only the white Northern Ireland flag, at times when he was angered by UK government policy in this part of the UK. US readers will understand the emotive nature of flags. Every ‘Protestant’ church has its own particular approach to communion, and its own restrictions as to who is permitted to take communion within their services. It’s not a casual issue. There are valid and major theological differences among Protestant churches, never mind between broadly Protestant and Catholic theologies. Free Presbyterians and Non-Subscribing Presbyterians are a universe apart despite their similarity of name. Baptists and Presbyterians have at least one major and possibly irreconcilable difference, and Church of Ireland and Presbyterian have many differences of approach and conviction. You need a letter to even get in to some Gospel Halls, to prove your membership of a like-minded Gospel Hall, never mind to ‘break bread’ with them in communion. I know of men who think that (Protestant) Unitarianism is a greater heresy than any Catholic doctrine. I have no problem with anyone holding to particular distinctives and convictions – but we live in a strange era where difference is presumed to inevitably lead to conflict, and that the assertion of difference is a bad thing. This is nonsense. Point out your distinctives, protect your convictions, engage in debate about them, be a persuader and defender of them - but live and let live. I would not expect any Church, Protestant or Catholic, to allow open access to communion to people not members of their denomination. I have been to at least one funeral Mass in a Catholic church, as a spectator not as a participant. I would go again if I felt it right to do so, despite the theological differences. I know many other members of Orange lodges who have also done so out of neighbourly regard. Even in areas where ‘The Troubles’ raged and innocent people were murdered, I am aware that funerals were, and remain, a communal time regardless of ‘difference’. But they are private, painful, occasions and should not become a circus for controversy to be picked over by pundits and the politically-minded as to who attended and whether they should have. Maybe in the city a spirit of neighbourliness doesn’t exist to the same extent as it does in the country, and it’s easier to ‘demonise’ a group of people when you don’t actually know any of those people, or have a life-long relationship with any of them. Parade days in Belfast seem to act as ‘lightning rods’ for ongoing 365 days a year community tensions in particular areas, a focal point for agitation, antagonism and violence, for individuals and organisations to radicalise young people and recruit them to their ‘cause’. Extreme provocation will always cause problems, and is often cynically designed to do so. And it works. Sometimes the reporting just stokes these fires. The reckless feral unparented urban kids who might vandalise a nearby Catholic church are just as likely to do so to a Protestant one as well. Drive around and see how many have grilles on their windows to try to prevent wanton vandalism. I can tell you many stories of Belfast churches, and churches in the bigger market towns on the edges of Loyalist housing estates, living under regular threat of vandalism from ‘their own sort’ (but who are working hard to 'reach' those children and their families). But this goes unreported as it’s not ‘sectarian’. The same degree of damage provides acres of media coverage if presented as ‘sectarian’, with eager pundits seizing the opportunity to sustain their own profiles. This is all in stark contrast to the experiences I have had in the country, where parades are colourful musical spectacles and family occasions, attracting big crowds of people of every age group, passing churches of every kind without incident. Behaving the way neighbours should behave. I have quietly taken part in a good few local parades over the past ten years, and have the family memories and family photographs to treasure. Wheelchair and blindness have diminished my mother’s appreciation of the pre-12th in Saintfield and of the 12th Day itself, but if she’s spared she’ll be out again this year along with the huge family circle we have, smiling and listening and cheering and enjoying the day out as much as she is able. I suspect that, as usual, my father will have a pocketful of Gospel tracts to hand out to whatever people he gets into conversation with. My brother and I have been involved in simple open-air evangelism meetings in ‘The Field’ in the morning before the parades began. 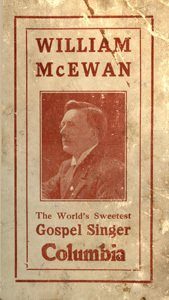 And I have no hang-ups about taking the tune of ‘The Sash’ and shifting it a bit with the words of ‘What a Friend We Have in Jesus’ – for a greater cause than anything that this world can offer, and entirely consistent with ‘… a humble and steadfast faith in Jesus Christ, the Saviour of mankind, believing in Him as the only Mediator between God and man …’. Three brothers called Wedderburn were doing something similar in the 1520s in Dundee at the start of the Scottish Reformation, taking familiar folk tunes and changing the words. Read old books – you’ll learn things. It is good to see some in the towns and cities now consciously doing the right thing. Here is one recent example from Lisburn, and here is one from Belfast – small steps but positive nonetheless. There is still a long way to go, on 'both sides'. I don’t claim to have all of the answers, and the country is not an idyllic paradise. Alcohol and 'hangers on' seem to blight the Belfast occasions, both of which in my experience are rare in the country. Since joining an Orange lodge I have learned many things. But there is a lot going on out in the sticks which the city might benefit from. Attitudes are different here because the circumstances and context are different. Hopefully the listeners of Radio 4 will be able to make some sense of it all, and like my English in-laws, maybe one day experience (and be a bit underwhelmed by) the low-key normality of a country 12th. For those with an interest in theology, Canadian author and blogger Tim Challies has been grappling with some key issues, and again in this earlier article. '... Call this war by whatever name you may, only call it not an American rebellion; it is nothing more or less than a Scotch-Irish Presbyterian rebellion...". The theologically inclined among you will enjoy this article on www.Ligonier.org , written by Dr Donald Fortson. He is Associate Professor of church history at Reformed Theological Seminary in Charlotte, North Carolina, and is author of The Presbyterian Story: Origins and Progress of a Reformed Tradition. Following on from the previous post, as the layers and centuries of history are peeled back, they often reveal the story of the Normans - in Great Britain, in Ireland and in Ulster. Many of the families celebrated as Ulster-Scots in fact have French origins - the De Montgomeries and the De Hambledens (Hamiltons) were both from Normandy. The Montgomery Manuscripts refer to customs of Lowland Scottish gentry being 'in imitation of ye French ... there is plenty of French names and French words alsoe'. The De Brus family, of whom descended King Robert the Bruce, is another example of 'Scoto-Norman'. The same applies to many Irish families. The Normans were of Viking descent thanks to their leader, Rollo, being given Normandy by the King of France in a famous treaty in AD911 - he had grown tired of defending against relentless Viking attacks. 150 years later, in AD1066, the Normans had grown powerful enough to invade and take control of England. The Bayeux Tapestry is the 230 foot long HD widescreen Blu-Ray account of the Battle of Hastings which was the clincher - the Bannockburn of its day which installed a new King and changed a nation.The first step was England, then north into Scotland and then west into Ireland and northwards into Ulster. The Anglo-Norman and Scoto-Norman story is not well known - despite the survival of an array of very impressive castles, abbeys and priories which they established and can still be visited and wondered at today. The VisitStrangfordLough.com website has some of them, but they are scattered in among a selection of other historic buildings and houses (see here). The Co Down Anglo-Norman castles are nowhere nearly as well marketed as, for example, the Fermanagh Plantation castles of the early 1600s. One of the ways of dissolving our 'two tribes' stereotype is simply to tell the full historical story, not a selective one which equips and fuels the present-day political disputes. Who were these Anglo-Normans? What were their names? How did they live? How many of them were there? What region did they 'occupy', and whose territory was it before they arrived? What type of religion did they practice, and did they impose their own religion on the locals? And who gave them permission to come to Ireland in the first place - was it Pope Adrian IV who gave approval to King Henry II of England in his Laudabiliter of 1155 (a document which itself has been reappraised)? And was it an 'invasion' or were there prior alliances, such as the King of Leinster (Dairmiud MacMorrough) who enlisted Richard de Clare ('Strongbow') from Wales in his fight against his 'fellow Irishmen' the High King of Ireland and the King of Briefne. What mottes survive, what townland names survive? And were they of one mind or did they have their own internal rivalries and feuds? What are all the things we can see and touch and photograph today which these Normans built? Can we hold medieval events in them? Can we re-enact battles and invasions as major spectacles, like at Bannockburn last weekend? Renowned historian Simon Schama has written about the Anglo-Normans in Ireland. The National Archives website also has some interesting content. But, thus far, the Anglo-Norman story has not been 'packaged' for tourism and the many interesting castles and abbeys do not have this story as a connecting narrative. These places could become a string of pearls, with the added benefit of helping people understand how multicultural the history of Ulster, Ireland, Scotland and the British Isles as a whole really is. More on the Anglo-Normans of Strangford Lough to follow. This YouTube video about Haplogroup I-M253 includes the image below. People with white eyebrows can be seen at 9min 05seconds!